God is opening the eyes of His people in Israel like never before! More Jewish people are receiving Yeshua (Jesus) as their Savior now than at any other time in history. Tree of Life Ministries is actively engaged in outreach and equipping the Body of Messiah in Israel. Through the "Yeshua Project," we're sharing the Gospel with Israelis through quality booklets, videos, and websites, and equipping Israeli believers to share the Good News effectively. This booklet presents God's promises to the Jewish people and His miraculous fulfillment of them throughout history. We're regularly involved in outreach events, presenting the Good News in creative ways. For some events, whole busloads of Israeli non-believers have come and heard the Gospel. "Ranenu" ("Sing joyfully") is a music training program with an emphasis on worship. 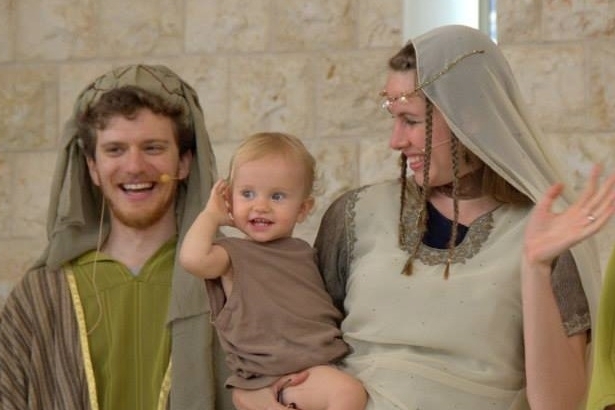 The "King's Club" and "HaMitzvah" (The Commandment) are the children's ministry and older children's discipleship programs at Carmel Congregation. Through seminars and videos, Israeli believers are prepared to share the gospel.